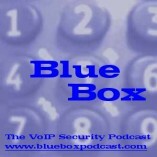 Jonathan Zar joined me a week later on Blue Box Podcast #2 and we've been going ever since. We've now produced over 112 episodes, had close to 245,000 downloads of our various shows, met some amazing people, learned a lot along the way... and hopefully helped you all learn a lot out there as well. Thank you to all of you who have joined with us on this journey... whether you've listened to our show from the very beginning (and we know of a couple of you who have) or have only recently joined in... thank you!